This essential kit guides you through the maze of federal regulations and helps you become equipped for OSHA compliance training. 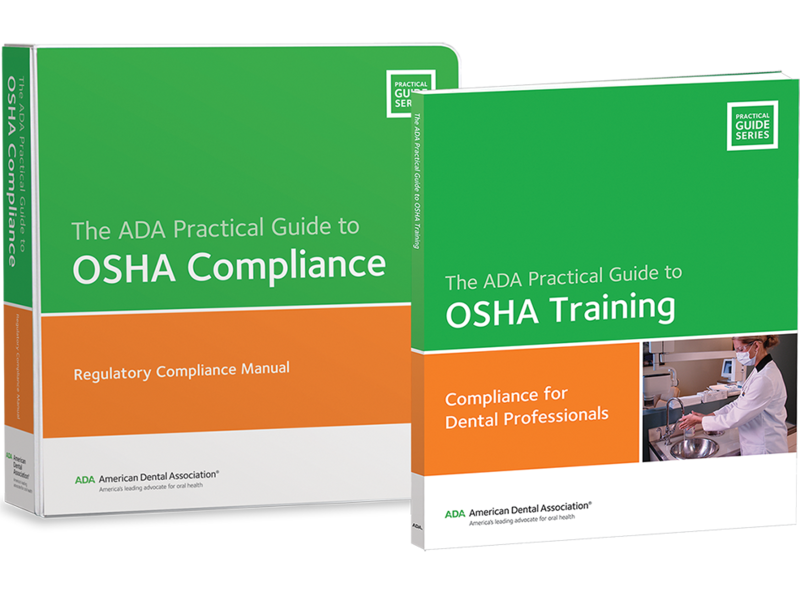 With a focus on a variety of health-related topics, the ADA Complete OSHA Compliance Kit is the easiest way to ensure your dental staff know the rules of OSHA. Whether you want to know about bloodborne pathogens, hazard communications, waste management, or other regulatory issues, this kit has the answers. Included are two tools: ADA Practical Guide to OSHA Compliance and the ADA Practical Guide to OSHA Training. The compliance guide consists of the Regulatory Compliance Manual and a CD-ROM. The training guide consists of the Compliance for Dental Professionals DVD and workbook. For OSHA compliance training in your workplace, the ADA Complete OSHA Compliance Kit has the resources you need. Take full advantage of the kit to keep your staff informed and prepared. Order yours today and save $75 off individual product prices!